Why we receive Nevada chapter email: We’re all pretty busy in our practices and our lives and you won’t be able to participate in everything that the chapter has to offer that as a chapter and your webmaster, as a natural, efficient, timely, and contemporary method of communicating with all chapter members, send your way. The National office of the AMTA also sends you news you can use, to stay up-to-date with what’s happening in your profession and ways to engage that news with your practice and clients/patients. So much information is out there, and delivery of that information and receipt/management of that information can be real challenges. 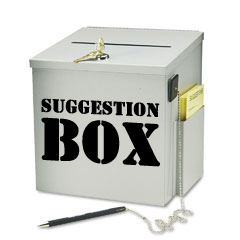 If you become inundated or uninterested in the types of information that come your way via email, there are methods for changing your preferences as your needs/desires change – that is the purpose of this article/request. Instead of reporting chapter emails as Spam or Complaining (as functions of the email links you may click or in your email client options), I ask that you kindly either delete the email or, if you would like to unsubscribe – permanently – from chapter communications, please: change or remove your email address from your AMTA Member Profile on the national website on your Member Profile. It happens with any service that mediates email delivery…like, in your own practice, for example. 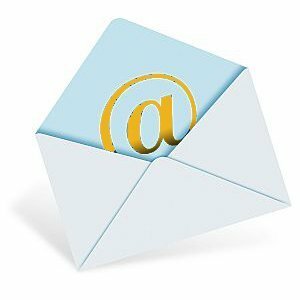 When Complaints are logged with a mail server, like Eventbrite (a service we use to mediate attendance at free and attendee-paid/chapter-sponsored events), our reputation as an organization is tarnished. We are perceived as an organization as “not having permission to email the recipients” on the monthly email list that we get and upload each time we send out an email through any service. As a consequence, we are restricted from emailing through these beneficial services and tools – first, in bulk (All Members At Once as opposed to a “up to 250 emails a day” restriction), but then, ultimately, our account is closed by the service – something we want to avoid. Not getting your chapter communications? Make changes for each type of email address and then exit your Profile. Explore your options for your Profile to be up-to-date while you’re there: there are a lot of things you can do in and with your AMTA Member Profile! If you choose to receive AMTA-related emails and before you register a complaint, please Unsubscribe – your Unsubscription will be registered with that particular email service and you will not be emailed again from that service. What happened to chapter communication in my [USPS] mailbox? As a reminder, you will not get as many USPS mailings regarding chapter activity: National policy allows us to Be Green in communications with our members, but, more importantly, it makes the process of communicating with each of you more economic – costing the chapter less, for paper mailings – so that we (meaning “you”, if you’d like to volunteer to help facilitate expenditures) can spend your hard-earned membership fees in other efforts that support your local, chapter organization in promotions, educational events, and keeping up-to-date with the ways local government affects your practice. What’s Love Got To Do With It? We LOVE that you are a Nevada chapter member! The amta nevada chapter is proud to partner with Steiner Education Group’s premier education program and campus, the Nevada School of Massage Therapy, to offer its members an opportunity to mentor up-and-coming professionals in the field of massage therapy! Your feedback is sought and needed, by both the programs that educate future licensed massage therapists and the Students of these programs. Part of their education is to perform massage on the Public in school-hosted Clinics that put them in touch with their technical and business skills to increase their confidence and effectiveness. Wouldn’t you like to help IMPROVE their performance? Wouldn’t you like to know that there are more qualified and experienced graduates entering the massage therapy profession every year? You get an email invitation from the chapter at your AMTA-registered email address. You RSVP (through Eventbrite) to posted dates where the Nevada School of Massage Therapy is working with the amta nevada chapter to offer incentives to come in to the weekend Student Clinic and receive a massage. The purpose is for you to leave thoughtful, constructive, and positive feedback after your massage. For your Evaluation of the student that has just given you a massage, you will not have been charged for your massage (first one only) OR you will have been charged half-price (2nd+ time). You will have given critical feedback for the student to consider, study, and act on during his/her time in student clinic…and probably for the rest of their career! Print your event Ticket and take it with your current NSBMT license (blue card or certificate) to NSMT (map). Show up at the school during the event times – give the Clinic Manager your Ticket AND show the Clinic Manager your NSBMT license. After your massage, tell the student that you need to complete an Evaluation for them and ask if they have a few minutes to review the Evaluation you complete with them. Then, pick up and complete an Evaluation form from Reception and find a place to meet for a few minutes with your student practitioner to review your evaluation – this gives them a chance to clarify and ask questions about points you bring to their attention – positive and constructive! Times of availability of this offer are ONLY during scheduled amta nevada chapter event times listed on its website at www.amta-nv.org/events or in a specific email invitation. Clinic hours are 8am – 5:30pm, Saturdays and Sundays, notwithstanding any emergency closings. The Nevada School of Massage Therapy will have you register as a guest of the student clinic – you will be signing a release form for the school’s clinic participation as well. To receive your “free” or “discounted” massage session at NSMT’s clinic, you must complete an Evaluation Form provided to you by NSMT at the conclusion of your massage/bodywork session. Failure to do so jeopardizes the relationship between the amta nevada chapter and NSMT, your ability to further participate in future special events. When you are receiving your massage, you are responsible for communicating with your student massage therapist and controlling your exposure to their manipulation and method used: if you are not comfortable, stop the session and contact a school supervisor. The amta nevada chapter is not responsible for any damages or negative impact participating in any amta nevada chapter-organized event may cause any registered participant. The amta nevada chapter facilitates opportunities, services, and information that participants use at their own risk. Your RSVPing to attend “Mentoring Our Future” events does not guarantee your participation at any stage of the scheduled times you may receive a massage at the rates organized between the amta nevada chapter and NSMT. You may be denied entry into the clinic for any reason outside the control of the amta nevada chapter or NSMT at any time. We are looking forward to your maximizing your Nevada Chapter membership in the AMTA by taking advantage of this awesome opportunity – Mentoring the Future and self-care, all in one! See you at NSMT! Be among the professional members that shape our association. Vote for our national leaders. AMTA is the premier professional organization and needs top leadership to be a strong voice and guide us to the future. Your vote is needed to ensure that AMTA remains on top and continues to be well represented. Get to know the candidates. Read each of their biographical sketches. 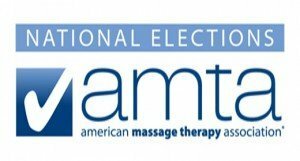 You can find these candidate links, or if they established any Facebook, LinkedIn, Twitter or Blog sites by accessing the AMTA official election website. Don’t be shy, ask them questions or read what someone else asked. Find out what their vision and goals are for the future of AMTA and the massage profession. Your voice counts in this organization. Make a decision to support one of our core values, ‘to be a membership driven organization’ and vote. That is what ‘member driven’ means. Join in. Become a more informed voter and cast your vote by December 1! November 1-5: A link to the online ballot will be sent via electronic mail to all voting members. December 1: Completed ballots are due. January 1: Results will be announced no later than January 1 on the AMTA website. March 1: New officers assume office. As part of its involvement with leading health care organizations, AMTA has been an active participant in several industry meetings in 2012-13. These have included the International Research Congress on Integrative Medicine and Health; the International Medical Program’s Integrative Oncology Healthcare Professional Training Conference; the Annual Integrative Healthcare Symposium; the International Congress for Educators in Complementary and Integrative Medicine; and, the Third International Fascia Research Congress. These meetings continued to validate that leaders in health care are acknowledging that health care in our country needs change; and integrative approaches for patient care are important trends that need cultivation. They also provided opportunities for AMTA to forge new relationships with many leaders in health care who can influence the further acceptance of massage therapy. For example, AMTA’s participation in the International Medicine Program’s 1st Annual Integrative Oncology Healthcare Professional Training Conference in February 2013 allowed AMTA to gain valuable insight and perspective from one of the foremost integrative oncology programs in the country. This perspective will assist AMTA as it continues its approaches to healthcare. The goal of the conference was to review the principles and disciplines of integrative oncology and to identify indications and contraindications for complementary therapies within the cancer population. The conference was designed for physicians, nurses, social workers, dieticians and other healthcare professionals who care for cancer patients and have an interest in better understanding integrative oncology. Susan Rosen of Washington State continues to serve as AMTA’s representative to the AMA’s Current Procedural Terminology (CPT) Health Care Professionals Advisory Committee (HCPAC). As AMTA’s Primary Advisor to HCPAC, she is the massage therapy representative on the committee. HCPAC serves in an advisory capacity to the AMA CPT Editorial Panel. This relationship gives AMTA and the massage therapy profession input on review of CPT codes associated with massage therapy. AMTA has been actively engaged with federal agencies and U.S. congressional offices, since the Affordable Care Act was introduced more than three years ago, about its impact on massage therapists and those they serve. AMTA is approaching the ACA in a very practical and systematic way, which will promote and protect the best interests of massage therapists and avoids jumping in too quickly and making assumptions that might prove counter-productive. Since spring 2012, AMTA has issued three Research Roundups that summarize a variety of research on the health benefits of massage therapy. These Roundups were distributed to health and medical publications, as well as consumer media outlets. Excerpts from them and the research they cite has been published by several medical and health care publications and online sources with a total audience reach of well over 100 million. AMTA’s 2013 Massage Therapy Tour, which primarily reaches out to consumers to educate them on the health benefits of massage therapy included educational stops at the American College of Sports Medicine annual meeting and offices of the U.S. Centers for Disease Control and Prevention in Atlanta. AMTA members engaged these health care professionals in discussions about the growing body of research on massage therapy, how to find qualified massage therapists and how massage therapy is being integrated into health care in a variety of settings. The American Massage Therapy Association is actively engaged every day in advancing the profession. These relationships with the health care/medical communities provide a strong voice for those massage therapists who seek to work within health care, while recognizing and protecting the rights of those massage therapists who practice in other sectors of the massage therapy profession. Further acceptance of massage therapy as a viable part of health care and wellness will benefit all in the profession. Not only will it present new potential for those who want to work within health care, it will provide all massage therapists with confirming support for what they do, whether it is in private practice, in a spa or health club, a massage therapy franchise, or with a sports team. Being a massage therapist professional for a number of years in Nevada, I have seen many changes that have affected the direction of our profession, our passion, and ultimately affect the way the public perceives massage therapy. Last year, the AMTA began its Consumer Awareness Program (CAP) which has been wildly successful, for both the public and members. Check out some of the video, member stories, and news stories that have come out of this well-planned, multi-year project. Your dollars are at work in promoting massage and its benefits to large gatherings of people, like at races and social events of magnitude around the U.S. This is one way that our organization makes well-known the benefits of regular massage. The National Certification Board for Therapeutic Massage & Bodywork (NCBTMB) has done the same types of promotion over the years – through a short-lived “certified spa” program (where, when all the LMTs on staff were Nationally-certified, the spa is listed and promoted as an NCBTMB-approved spa/employer), member self-promotion with materials supplied by the NCBTMB (article copy for publication, use of logos, website resource for the public, Find A Certified Massage Therapist listing service, etc), and support of a credential that has long-established the competency and possibly proficiency of a certified practitioner. As of January 1st, 2013, things again have changed for NCTM/Bs. Just when you were getting used to the title… Since the establishment, in 2005, of a competency exam for licensing purposes by the Federation of State Massage Therapy Boards (FSMTB) – the MBLEx – the NCBTMB has revamped their program. Now, the NCBTMB also has a [rebranded] competency exam for licensing (formerly, the National Certification Exam (NCE)), now called the NCBTMB Licensing Exam. These two tests by two different organizations are considered (by at least 39 states) to be the standard test to which the states’ Applicants [for licensure] must pass. Nevada is one of those states where either test is accepted for license application. Polaroid: Nevada [the Nevada State Board of Massage Therapists (NSBMT)] never required that an Applicant or Licensee “be” Nationally-certified…and still does not – just to pass the NCBTMB’s entry level exam (and, now, the MBLEx is an added, optional exam accepted). When a professional massage therapist is Nationally-certified, it is a credential separate from “being” competent. National certification is a professional’s commitment to a standard that exceeds basic competency. In the past, that Nationally-certified standard included (mainly): 500 hours of classroom education, an earned number of Continuing Education Hours (CEHs) every 4-year renewal period and an agreement to a Standard of Practice and Code of Ethics outlined by the NCBTMB (to which all Certificants agree to uphold). Instagram: Today, under the newly-termed “Board-certified” title that Certificants are using that have already renewed with the new requirements, the additional requirements will include: 750 (total) hours (minimum) of classroom education (was “500-hour core massage program” prior), 250 hours of professional hands-on experience, CPR certification of the NCBTMB Certificant, national background check (every application/renewal), agreement to an anti-Human Trafficking statement. These new requirements apply to new applicants AND any currently-Nationally-certified massage therapist that wishes to renew their NCBTMB certification. With that said (and “new” way of doing things at the NCBTMB having hit the ground running), the AMTA-Nevada Chapter supports our members who are and will be NCBTMB Board-certified. We continue to, as an AMTA Chapter, be a source for NCBTMB-approved course credits. We also have a great relationship with some staff members at the NCBTMB – while we encourage Nationally-certified chapter members to contact the NCBTMB directly for individual assistance (specific, case-by-case), we will certainly do our best to answer your questions and send you in the right direction, when you find a challenge. New Requirements, New Friends We are in the process of allying, in Southern Nevada, with a couple of offices that offer CPR programs – back in my day, class was “all day” and cost a little more than the current programs. The programs we’re working with (one of which is an American Heart Association CPR training/certification course) are designed for concise and complete education and cost less, time-wise and dollar-wise, and are very promising to utilize as a source for your Board-certification and any other purposes. If you are in the Northern Nevada and know of a program that may fulfill the NCBTMB’s Board-certified requirement of “CPR certified”, please let us know! We’d like to start informing all our members about the potential relationship, making things easier for every member. Should I renew? This is really a question based on your perceived value in the NCBTMB. I renew to stay active in my profession. I also volunteer for the NCBTMB as an exam Item Reviewer – there are plenty of ways to “be” in the profession, with whichever organization you find value. The NCBTMB has been there for us as a profession, through thick and thin, and they are changing with our profession to make it the best for everyone: practitioners and public alike. For as long as I have been a massage therapist, the integrity of the NCBTMB has always been noble, their Standards and Codes of high regard when adhered to, and I appreciate the distinction that the credential brings to my profession and what I love doing most for my clients: massage therapy. I believe that without the organizations that are represented by the mere numbers of professionals who populate them, the organization loses identity and the ability to be accessible by the public, news outlets, allied professionals, and the regulatory bodies that also strive to seek the right model or advice on how to apply laws for the safety of the public we all serve. The diligence of “claiming a profession” and being professional exists, in my opinion, in the members of professional associations like the AMTA, and certificants of a program that strives to create “better” massage therapists at every turn. If the organizations are left unmanned, from where will credibility and efficacy come? The AMTA Nevada Chapter is here to support your decisions: to renew, to apply, to be active in your profession. Our newsletter is coming out soon with information about our Annual Member Meeting and Convention – stay tuned for some excellent ways to distinguish yourself as a professional with continuing education courses (NCBTMB-approved! ), effective networking opportunities, and…FOOD! Right now, the American Massage Therapy Association is offering a $20 gift card, sent to you, when you refer someone to become a member of the AMTA. As the AMTA Massage Therapy Tour travels across the country to show people the benefits of seeing an AMTA member—that’s you!—for their next massage, we need your help to grow our community. AMTA’s enhanced Refer a Friend program rewards you when you share the benefits of membership with your friends! Check out the new Refer a Friend page on our website for program details and tools to help you share information about the AMTA Massage Therapy Tour and membership. You’ll receive a $20 Visa gift card (to spend as you like) for every friend you refer who joins AMTA at any level—professional, graduate or student. Referring is easy—check out our Refer a Friend tips & tools page for suggestions on how to encourage your friends to join the AMTA community. There is no limit to the number of friends you can refer or the number of gift cards you can receive. Plus, your friends will enjoy a special rate and gift too! Tell your friends to join AMTA today by calling 877.905.2700, and help them gain a partner who will keep them connected to opportunity, to community—to their future. Second year of AMTA’s “Massage Therapy Tour”: Coming UP! Last summer, the AMTA launched a public initiative, the AMTA Massage Therapy Tour, to put member-practitioners “in touch” with the potential clients & patients that want and need massage therapy services. The AMTA’s member-populated locator service, Find-A-Massage-Therapist, is the featured component that enables the public to find a professional, proficient massage therapist. Our members, along the Tour’s route and all around the nation through media outlets of television, magazine, newspaper, and online appearances, are the target of this innovative effort to educate and encourage massage therapy businesses to become known to their future (and current!) patrons. Since launching our multi-faceted consumer awareness program, AMTA has engaged 13 cities, hundreds of thousands of potential clients and nearly 100 member volunteers through the AMTA Massage Therapy Tour. We’ve been featured in 300 news items and reached millions of consumers…and, we’re just getting started! The summer 2012 segment of the AMTA Massage Therapy Tour is complete, but we’re continuing proactive media outreach to educate the public on the benefits of massage, including targeted advertising. Watch the Tour: See photo and video highlights from the AMTA Massage Therapy Tour. Members in the Media: Watch fellow AMTA members give interviews to local media outlets. Spreading the Word: Check out radio and print advertisements promoting AMTA members. Join us at the AMTA National Convention to see highlight coverage and elements of the Tour in person. Start planning for AMTA’s 17th annual National Massage Therapy Awareness Week (NMTAW), October 20-26, 2013, to bring the benefits of massage to your community. Stay tuned for additional updates on how we’re educating consumers on the benefits of massage, including 2013 AMTA Massage Therapy Tour details! This is the time of year when the gift of massage is most given, when those in need’s voices are heeded, and when massage therapy professionals’ families may get the most benefit from a visit from their family’s massage therapist. It is a great time for a reminder to people who have worked diligently and exhaustingly all year to get a massage from their friendly, neighborhood massage therapist – a time to relax and let their hair down for a re-centering, rejuvenating time of healing and introspection while on the table, their mini-vacation, during this holiday season. It is a great time for those who get massage regularly, for rehabilitation or pain management, to revisit why massage therapy is such a great “healer” and re-evaluate their relationship with massage. Did you ever think about contributing your talent, skill, and intention for massage therapy to the less fortunate than those of your family, friends, and clients? Did you ever think about creating value for your clients AND increasing your personal growth using your talent and skill as a massage therapist? What if you could touch the quality of life of a person that you do not know nor would ever have come in contact with if it were not for your good nature and willingness to share the power of touch through massage? at a homeless shelter, where touch services are rare. in a hospital, where touch services are needed to assist in recovery and pain management. free massage session(s) for a local fundraising effort, to either encourage donations to the charity by donors that would “win” your free massage OR give free chair massages to the volunteers that coordinate/facilitate the fundraising activities. There are many ways in which you can do something to provide your massage community with the value of massage…that doesn’t cost a lot for you or the client of your intent. As we prepare to fulfill those gift-given certificates, also prepare to consider lending a helping hand to those who need a massage and may not be able to afford it – create, for yourself and your existence as a practitioner in your community, a value that extends beyond your ability to discount your service pricing and reaches the far corners of your community where massage is valued as a form of positive, life-changing experience that has no cost and immeasurable value. Think about a few ways, and Comment here – your sharing may just spark that holiday-giving attitude in another massage therapist that can lead to great things! Fall 2012 Silver State Massage Express – Ready! Your newest AMTA Nevada Chapter newsletter, the Silver State Massage Express is ready!